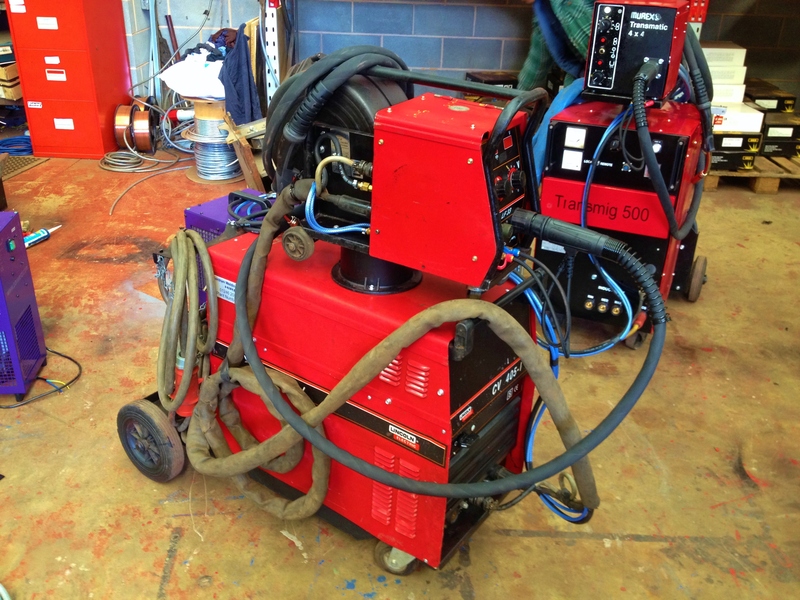 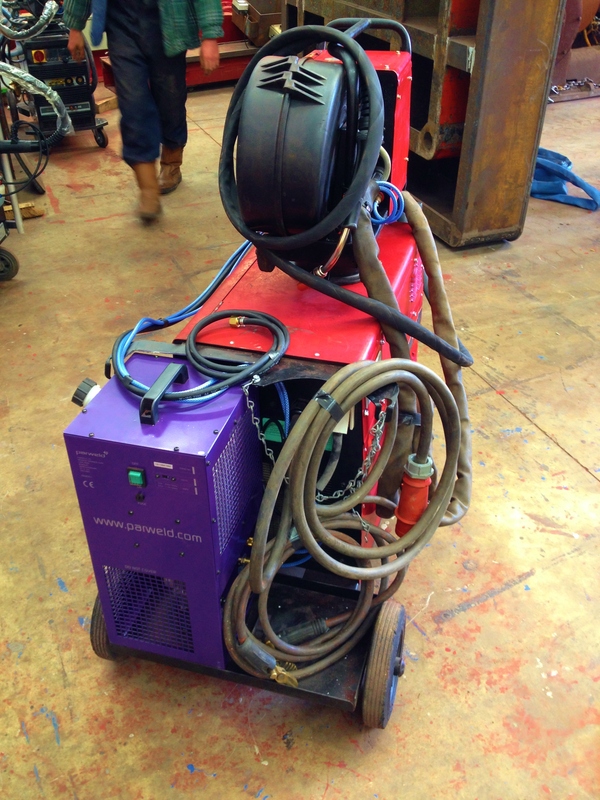 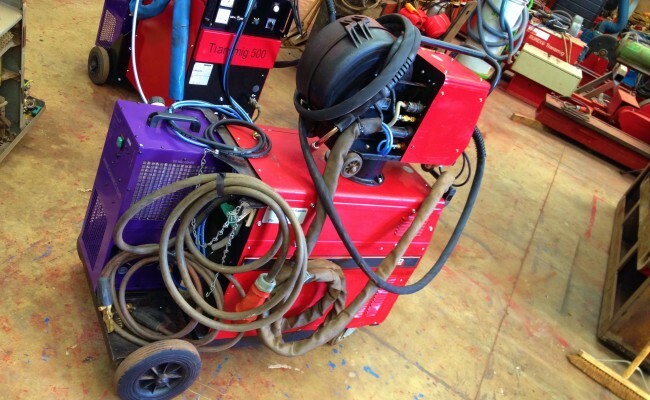 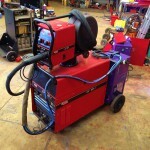 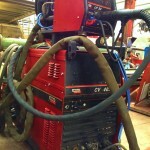 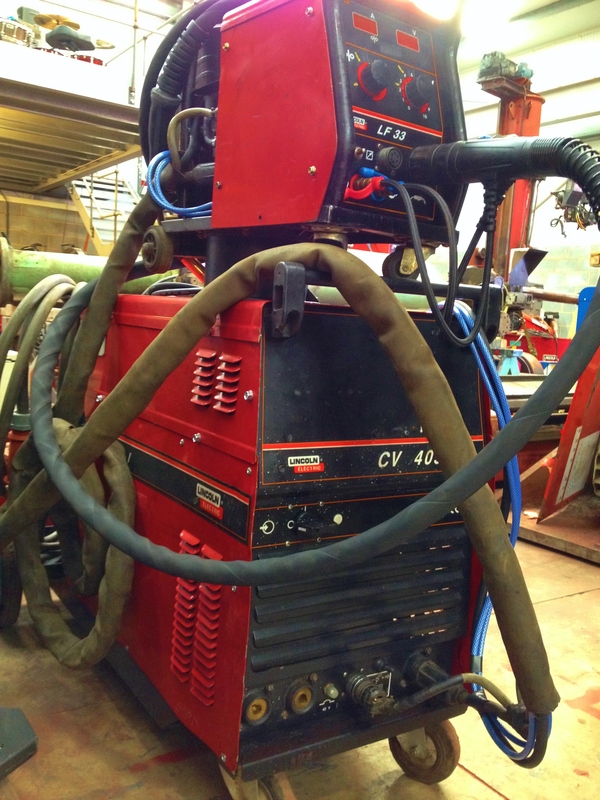 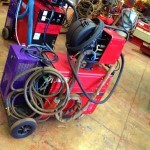 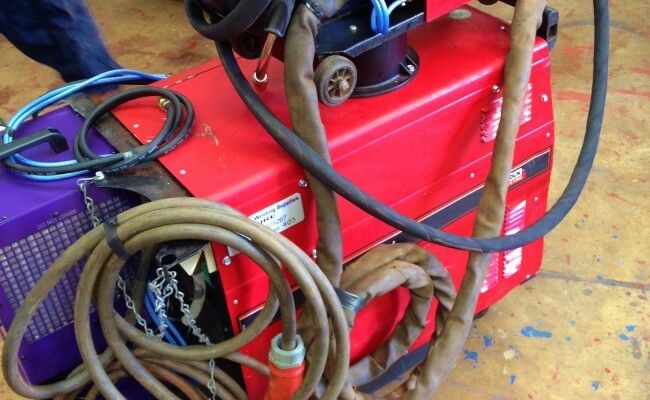 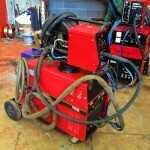 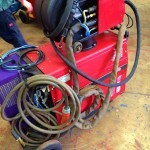 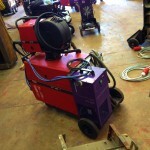 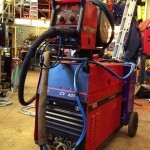 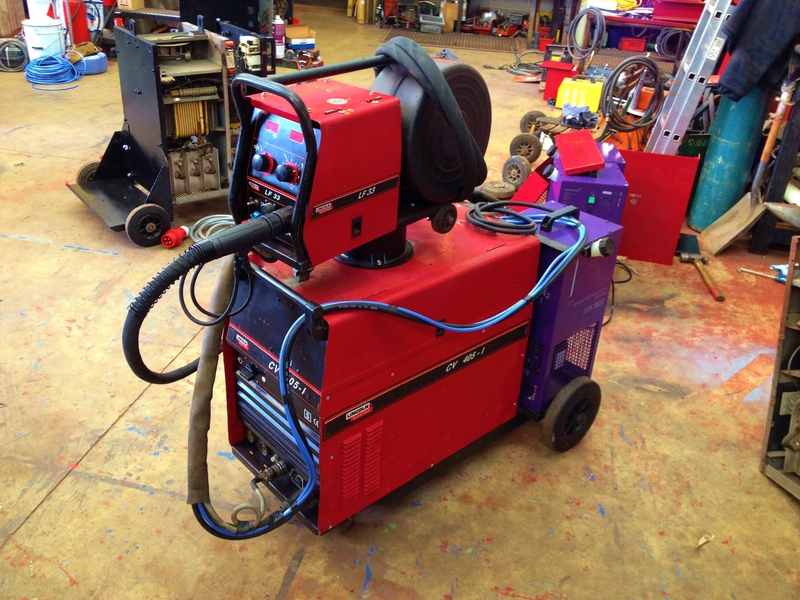 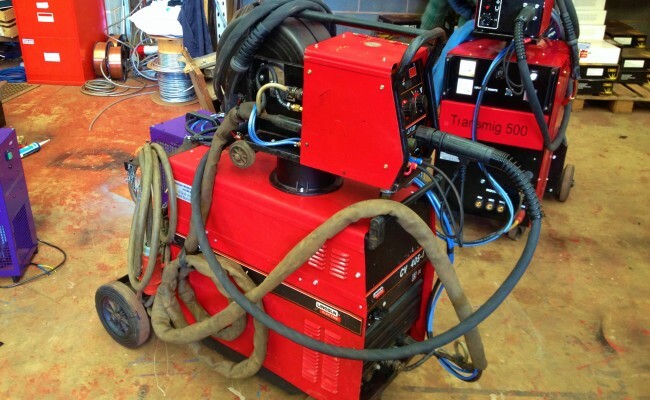 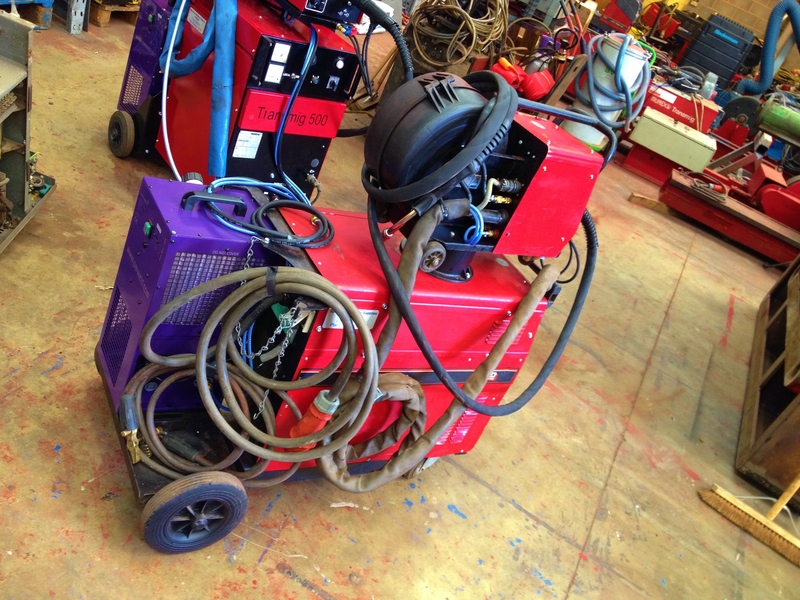 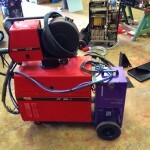 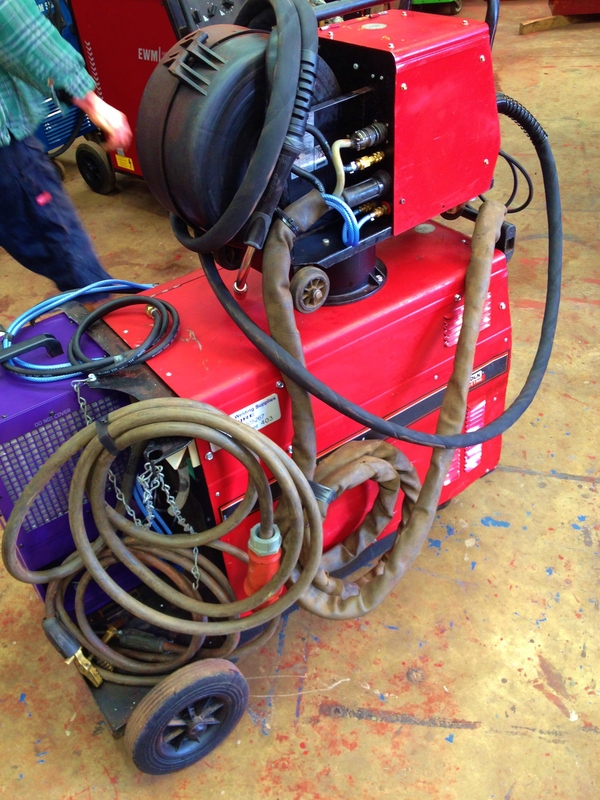 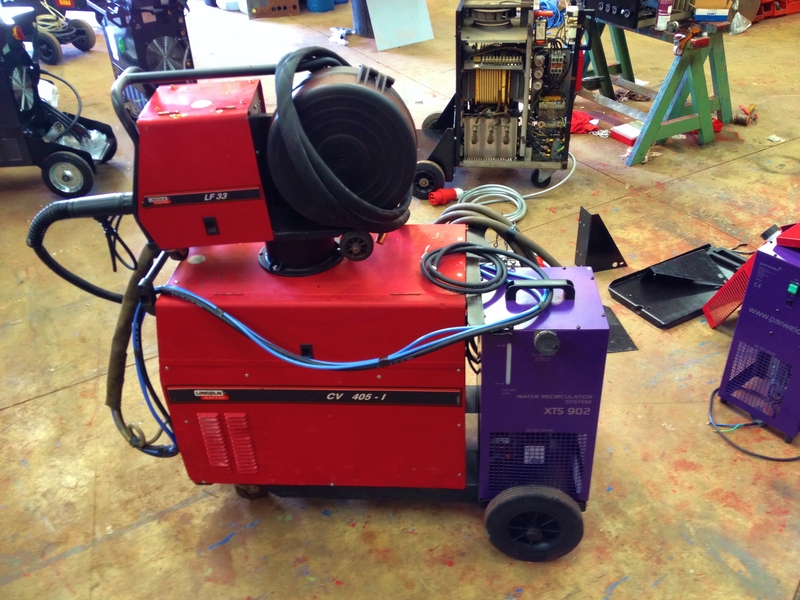 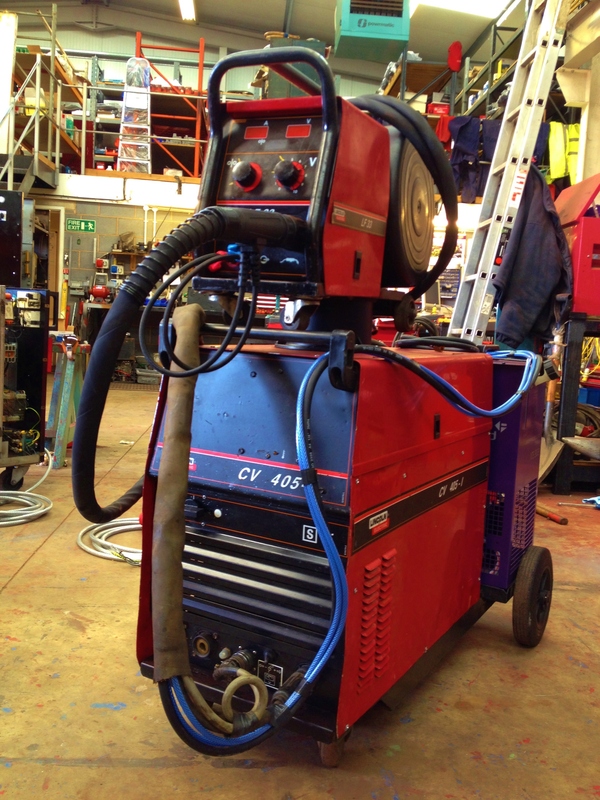 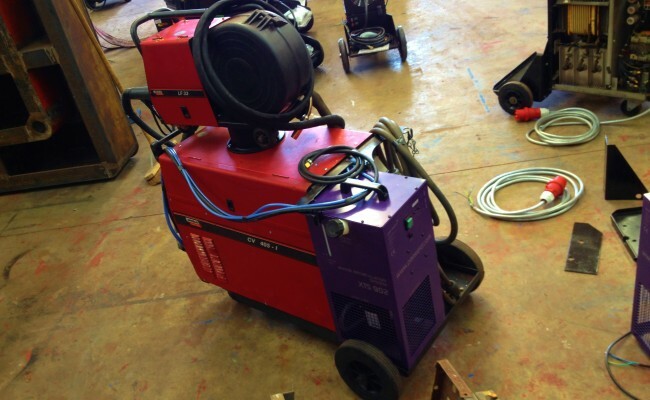 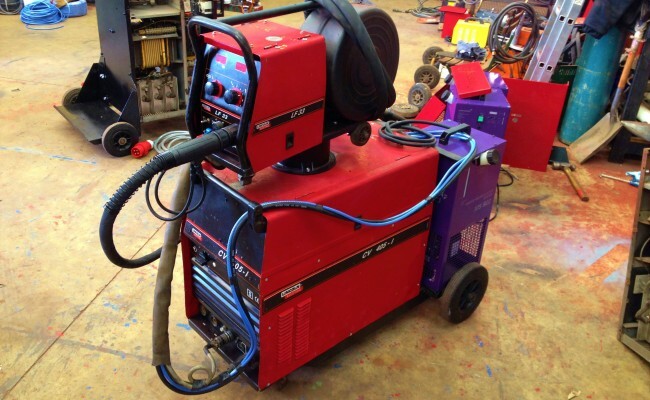 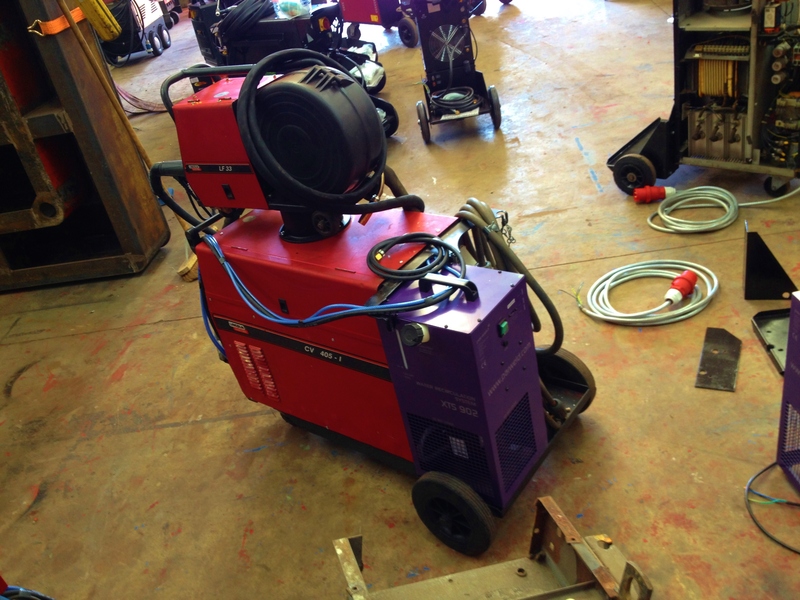 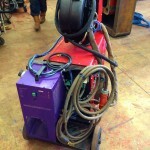 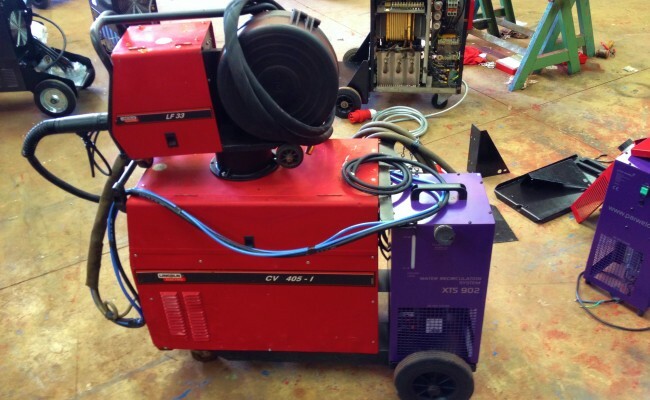 The CV405-I water cooled MIG capable of 435 amps complete with the Linc feed wire feed system has been designed and engineered to provide our customers with a unique combination of traditional heavy duty thyristor controlled power source with a rugged and reliable four-roll wire feed system. 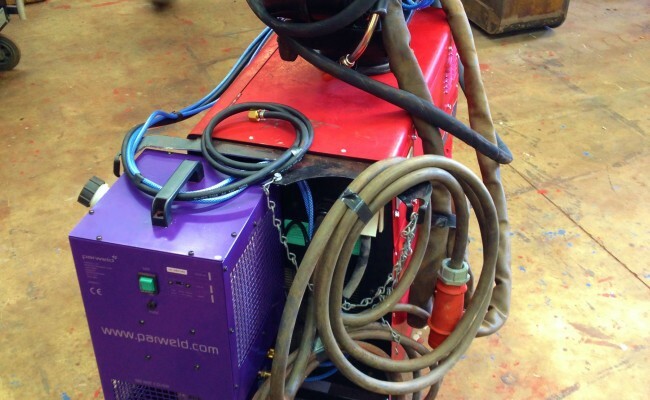 In addition a programmable wire feed unit can be added giving the machine a full synergic capability. 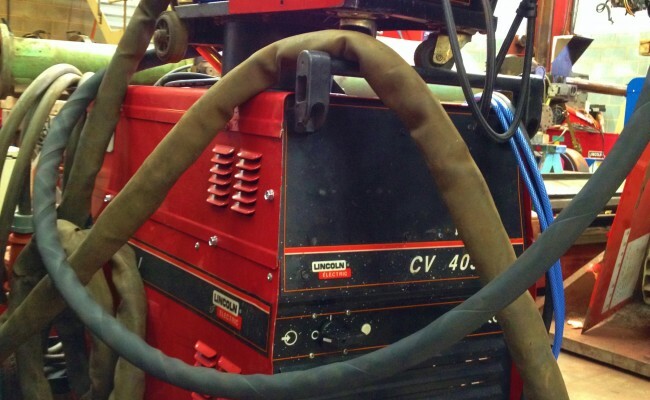 The Linc Feed wire feed units have been designed utilising the latest technology to provide optimum flexibility and versatility in a modular design. 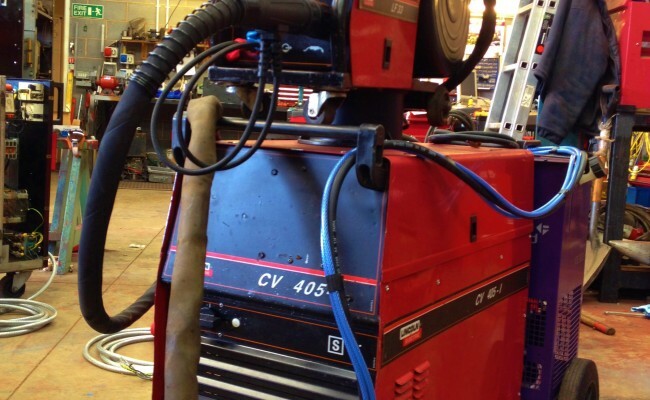 CV405-I and Linc feeders are the first MIG/MAG machines from the Lincoln Electric semi-automatic series.